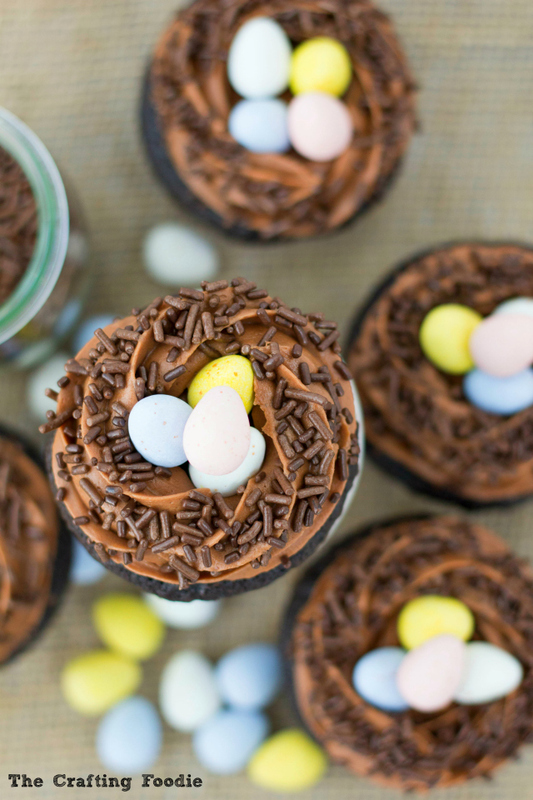 See those chocolate eggs topping these Robins’ Nest Cupcakes? Well, I have an irrational love for these Cadbury Mini- Eggs. They’re filled with some pretty good milk chocolate, but even more than the flavor, I love how simple and beautiful they look. The light pastel eggs are speckled with droplets of darker color, just like real robins’ eggs. 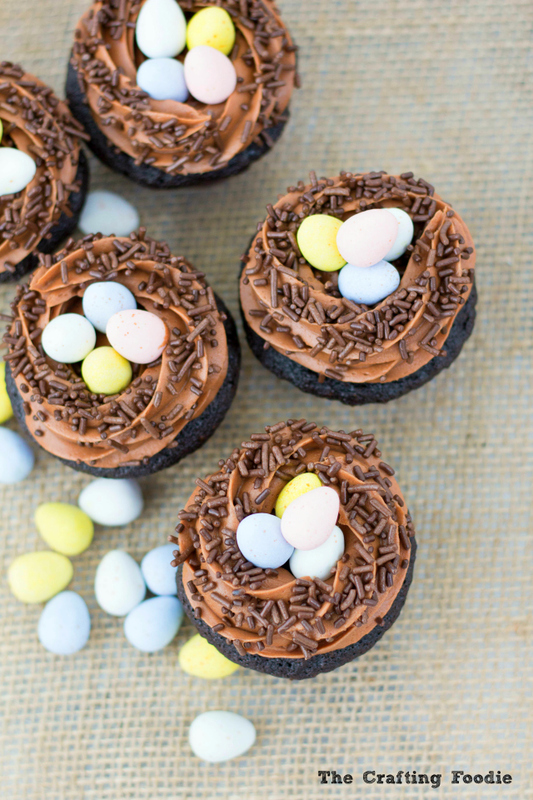 To make these Robins’ Nest Cupcakes even easier, you can use your favorite box mix and pre-made frosting. But the recipe I used for the cupcakes is so simple that you don’t even need a mixer! You can head over to The Tastes of Lizzy T’s for the full recipe and tutorial. You can find the recipe The Tastes of Lizzy T’s. Love this idea! I love these Cadbury eggs and buy them as soon as they are in stores. I could eat a whole bag of them. 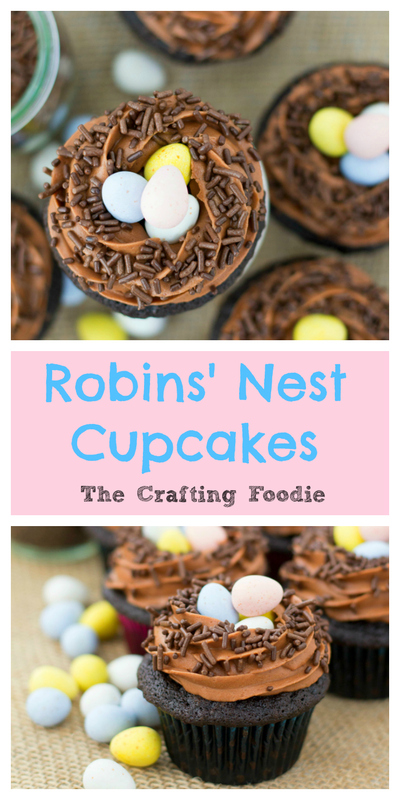 Making the nests on top of a cupcake is so cute and easy! Great for all those upcoming Spring get togethers! Thanks so much Nina! I love them too 🙂 I’m already planning another dessert with them. They’re so pretty! These are adorable! Such a fun idea for springtime!! These are seriously cute. I mean, what a perfect spring party cupcake. I have never seen the recipe before but i might have to pin it to try this week! Thanks so much Rhiannon! They’re super easy to make, and you could even use a cake mix 🙂 The link to The Tastes of Lizzy T’s has a full tutorial. I’m going to show this to my daughter so we can make these this Easter. Thanks for sharing! So cute! Need to try these! These are adorable for Easter and your photography is gorgeous! 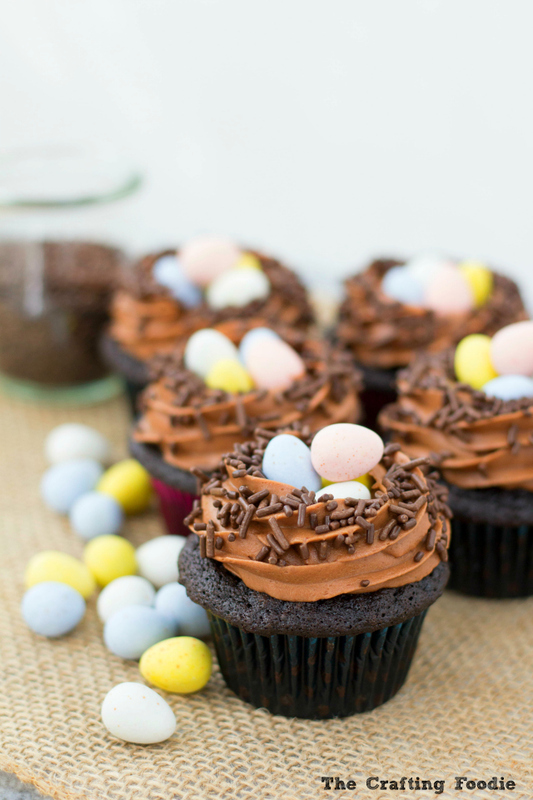 These cupcakes are so pretty and such a creative way to use my favorite Easter candy!